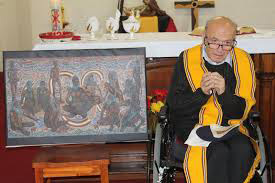 One of the founders of the Archdiocese of Sydney's Aboriginal Catholic Ministry (ACM) and one of the city's most well-known and beloved priests, Fr Frank Fletcher MSC is gravely ill. The 81-year-old cleric was admitted to Prince of Wales Hospital yesterday and this morning speaking on behalf of the family, his sister Terry Fletcher asked the people of Sydney for their prayers. "Our brother has been very frail for some months now and he needs our prayers at this time," she told Catholic Communications this morning. Fr Frank is due to celebrate his 82nd birthday on New Year's Day in just over six weeks' time. 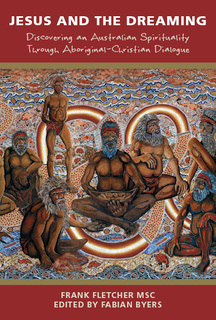 Despite his age, he has just written a ground breaking book which reveals his profound understanding of Aboriginal spirituality and argues that in addition to a more authentic dialogue with Indigenous Christians, there is a need for a sympathetic understanding of the Dreaming which will deepen our own religious experience and help renew modern Christian Theology. "Jesus and the Dreaming: Discovering an Australian Spirituality through Aboriginal-Christian Dialogue," published by St Paul's (rrp $24.95) is currently being printed and should be available within the next few weeks. But already international as well as national orders are being taken via the St Paul website for Fr Frank's book which is a collection of his writings over many years on Aboriginal spirituality and the challenges and possibilities for Western Christianity. According to Fr Frank's sister, the book is a culmination of her brother's life's work. "An editor collected his writings and he has been involved with updating these as well as overseeing everything that has gone into the book every step of the way," she says. Terry is also particularly proud the cover chosen for the book is a reproduction of "The Last Corroboree," a superb painting by acclaimed Aboriginal artist Richard Campbell. In February this year, Fr Frank was honoured by the ACM at a special Mass and celebration lunch at the Church of Reconciliation at La Perouse where he was presented with a beautiful print on canvas of The Last Corroboree in recognition of the role he played in the founding of the Aboriginal Ministry and the unstinting support and encouragement he had given over many years. Graeme Mundine, well known elder and executive officer for the Sydney ACM and Dr Elsie Heiss, another much loved elder and a member of the Wiradjuri nation who worked closely with Fr Frank to establish the ACM which began as a small room in the presbytery of St Mary's in 1988, were among the many who attended the celebration. At the La Perouse Church of Reconciliation hundreds arrived to thank and pay tribute to Fr Frank. During the lunch Sydney's Aboriginal Catholic community recalled how he had been asked many years before "Why have an Aboriginal Church?" To which Fr Frank had replied: "The Reconciliation Church is an asset to the community because faith gives strength against difficulties and people of faith are able to take on hard roles. A community needs to have an inner unity." Graeme Mundine described Fr Frank today as someone who as a theologian had helped raise the thinking and awareness among the wider community about Aboriginal spirituality and its place in Christianity. At the Church of Reconciliation as well as at St Mary's Erskineville where the ACM holds Mass on alternate Sundays, the liturgy, Lord's Prayer and Mass reflect the Aborginal people's deep spirituality, culture and traditions. The Mass incorporates specially written Aboriginal prayers and often includes Aboriginal dancers and music such as the didgeridoo. In addition the Aboriginal Rite of Water Blessing and the Aboriginal Rite of Smoking or Fire are frequently included as Penitential Rites. 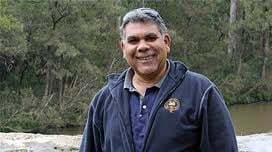 "Fr Frank has been exemplary in his tireless and unstinting support of the Aboriginal community and has been a good friend over many years. And although there is still a way to go, he has been instrumental in not only helping Aboriginal people discover Christianity but has enabled them to discover Aboriginal Christianity," Graeme says. He explains that before people like Fr Frank, Fr Ted Kennedy and Mum Shirl, few understood that Aboriginal people had difficulty relating to Western Christianity. They had no idea about Northern Hemisphere animals that are used in many of the metaphors in Western Christianity. 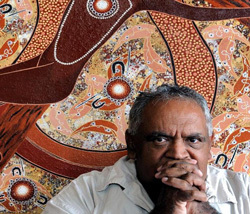 "The Spirit of the Rainbow is our symbol of God crossing the entire sky which brings a whole new mindset for the modern Church and recognises the different symbols and concepts that represent God not only to the Aboriginal people but in other non-Western cultures," Graeme says and believes this is shows just how truly global the Catholic Church is. "We are all Catholic and share Catholic values but the concept and symbols we use for God and the Scriptures may be different depending on our individual history, culture and spirituality across a wide variety of non European cultures." He strongly believes Fr Frank has helped change perceptions within the Church about Aboriginal spirituality and how this can enrich Western Christianity and the Catholic Church in particular. "We are all keeping Fr Frank in our prayers at this time," he says. 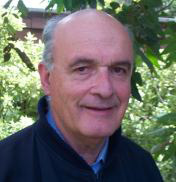 In addition to his close involvement with Sydney's Indigenous community and the ACM, Fr Frank has also been a long time supporter of St Vincent de Paul Society's Matthew Talbot Homeless Services extending the hand of friendship and providing pastoral and practical care to some of society's most vulnerable and in need.